This page was updated 11 March 2015. 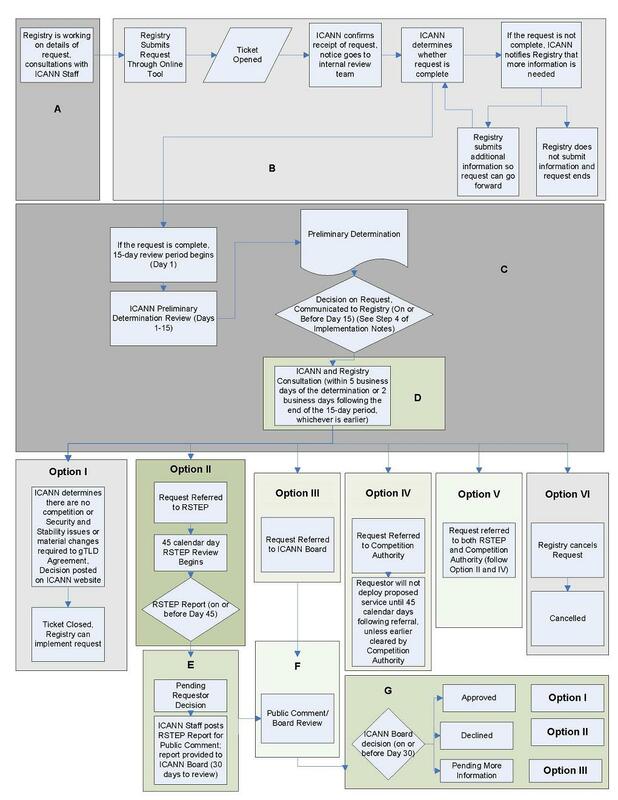 For previous versions of workflow diagram, please see bottom of page. 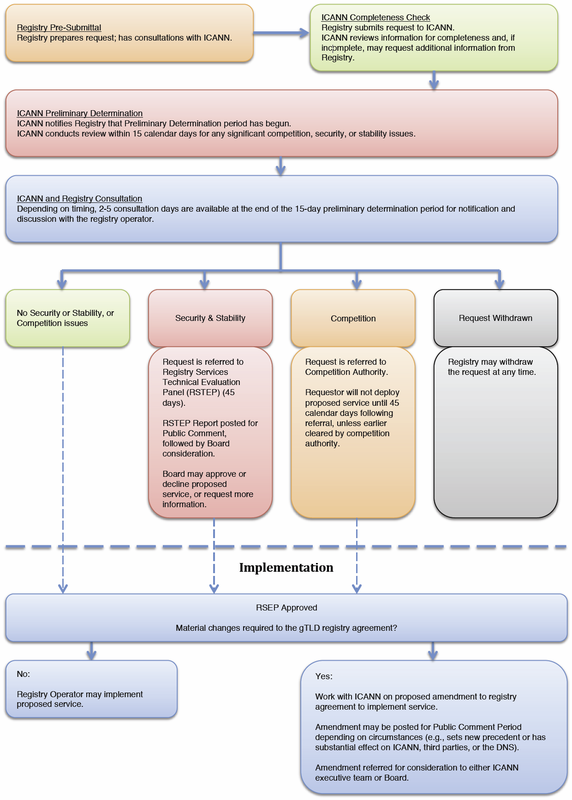 This infographic provides a high-level overview of the Registry Services Evaluation Process workflow please see https://www.icann.org/resources/pages/rsep-2014-02-19-en.